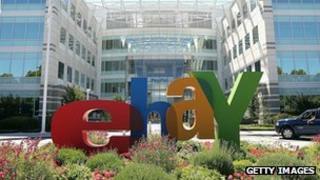 Ebay has announced it is to acquire start-up Shutl in a bid to bring one-hour delivery to the UK. The service will be offered when both seller and buyer are in the same area. The online auction site already has a similar service in San Francisco and New York, and hopes, with Shutl, to add more than 20 other US cities next year. The UK service will start in London. Speedy delivery is seen as a key growth area for retailers, with rivals such as Amazon also rolling out new services. Its AmazonFresh offering, which is so far only available in Los Angeles or Seattle, sources products from grocery shops, restaurants and other local businesses - essentially acting as a enhanced courier service. Other start-ups such as San Francisco-based Instacart promise the same, although its approach is not to have any direct tie-up with retailers. "Today, approximately 75% of what people buy is local, found within 15 miles from their home," said eBaymarketplaces president Devin Wenig in a statement announcing the Shutl acquisition. "Traditional retail isn't going away. But it is transforming, and that creates enormous opportunity within the $10 trillion total commerce market." No financial details of the deal were disclosed by either company. Shutl already operates in the UK, counting retailers such as Schuh, Warehouse and Argos among its clients. It allows customers to choose as-soon-as-possible delivery - its record is just under 14 minutes - or to select a one-hour window in which to receive the goods. Using rapid delivery comes at a cost - Shutl adds an extra £6.99 to some products if they are needed quickly. Founder and chief executive Tom Allason said that Shutl would continue to work with all its existing partners, but would expand to accommodate eBay's plans. "E-commerce is quick and convenient, two things that delivery is not," wrote Mr Allason. "Together with eBay, we believe that we can transform this market and fulfil our mission."